AMD's global desktop processor market share is likely to hit 30 per cent before 2018 is out reports Taiwan's DigiTimes. This uptrend milestone will be evidenced Q4 2018 figures, reckon industry sources speaking to the IT industry journal. It is notable that this will be the first time that AMD has had such a grasp on the desktop CPU market since 2007. While its desktop CPU share might be reaching beyond 10 year highs, AMD's share price recently hit a 12 year high. Behind AMD's fortunes are some key decisions and simple competitive luck. On the first point DigiTimes points out that "AMD has drastically changed its foundry strategy, loosening ties with Globalfoundries and contracting TSMC to fabricate its GPUs, server and PC processors on 7nm process. The policy change has sent AMD share prices rallying all the way since mid-2018 amid market expectations for better chip yield rates and performances as well as normal shipments to customers." 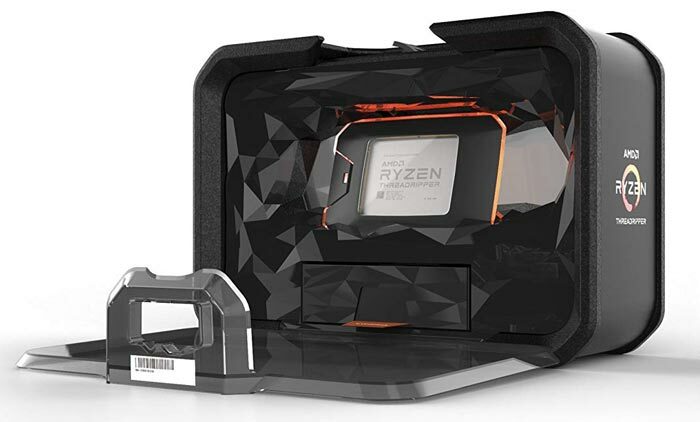 Circumstances have favoured AMD's recent Ryzen CPU products competitively as Intel, its main desktop CPU competitor, is going through a bit of a difficult patch in some respects. The most impactful for Intel is its "failure to carry out process transition from 14nm to 10nm in the second half of 2018 and the ensuing supply shortfall," according to the DigiTimes sources. Thus PC vendors have adopted AMD chips as Intel chips have become harder to source and more expensive. Companies purported to have "ramped up production and shipments of devices fitted with AMD processors" include major Taiwanese components and systems makers such as Asustek Computer, Micro-Star International (MSI), Gigabyte Technology and ASRock. AMD's success isn't limited to desktop CPUs, the server market is very rewarding for the firm too. DigiTimes notes that AMD's EPYC 7000 series processors have been well adopted by Mellanox and Samsung Electronics since their launch in June 2017. Furthermore, the EPYC series have been warmly welcomed by the likes of Baidu, Dell, HP, Supermicro and others. Earlier this week Microsoft announced that it would be powering one new range of H-series Azure virtual machines for High-Performance Computing (HPC) with AMD EPYC processors. It explained that the "AMD EPYC platform provides more than 260 GB/sec of memory bandwidth, which is 33 percent faster than x86 alternatives and 2.5x faster than what most HPC customers have in their data centres today." New Intel Xeon solutions also play a part in Microsoft's Azure virtual machines for HPC. Holy crap, that's pretty good going on AMDs part! Onwards and upwards! Make something really good and price it right and people wil buy it. Its hard to do but they've done it. Do we know how much of a share the same bean-counter had AMD pegged at one or two years ago, I'm not questioning their figures I'm just curious how big the growth has been.